We made it through another year that somehow seemed faster than the last (am I right?). 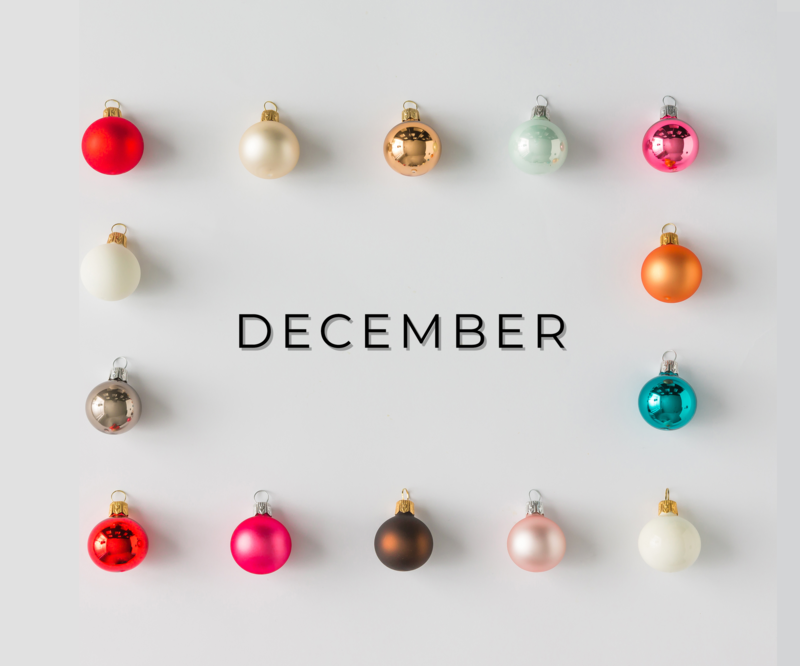 December kicks us into full-blown holiday mode as we approach 2019 with excitement and reflection. Speaking of what to reflect on… perhaps this month is a great time to take a look at what did, and what may not have worked for your business in 2018. Reflect on what you did differently that really kicked things up a notch. Think about what you really wanted to accomplish this year – were you able to meet your goals? Don’t get down on yourself for falling short of your expectations this year, instead look at the new year as a fresh start. Think about ways you can bring new life to your business, your employees, your food or services. Think about what you did great and keep that momentum by building onto it. Most importantly reflect on what you have at this moment in time, cherish the magic of the holidays, laugh a little louder, and share special moments over a nice meal, great company, and talks of a successful year ahead. Cheers! It's no secret that the holiday season is defined by its most beloved traditions that we honor again and again each year. Hanging up lights, putting up beautifully adorned trees and decorations, listening to holiday music, and celebrating with our closest friends and family members. It's also no secret that this time of year can be extremely lucrative for businesses—who doesn't love holiday sales? This year, we thought it'd be fun to learn about some of the lesser known traditions celebrated around the country and share them with you. We think you'll enjoy them, and you might even be inspired enough to start a new "nontraditional tradition" this year to share with your community! 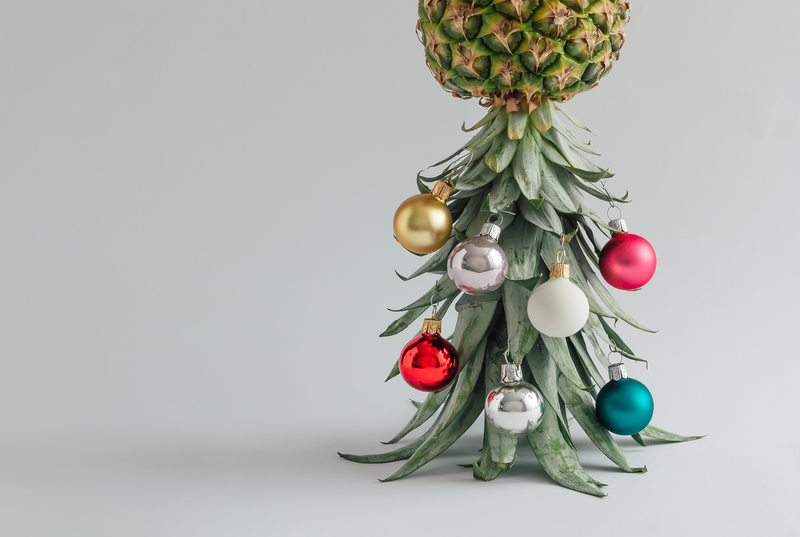 After you’ve decided which quirky holiday tradition you want to start within your business this year, it’s time to focus on the tried and true; the more classic methods we all know and love that roll around like clockwork each year around late November. Take a look below at some of the techniques we’ve highlighted that are almost proven to bring in more sales for your business. 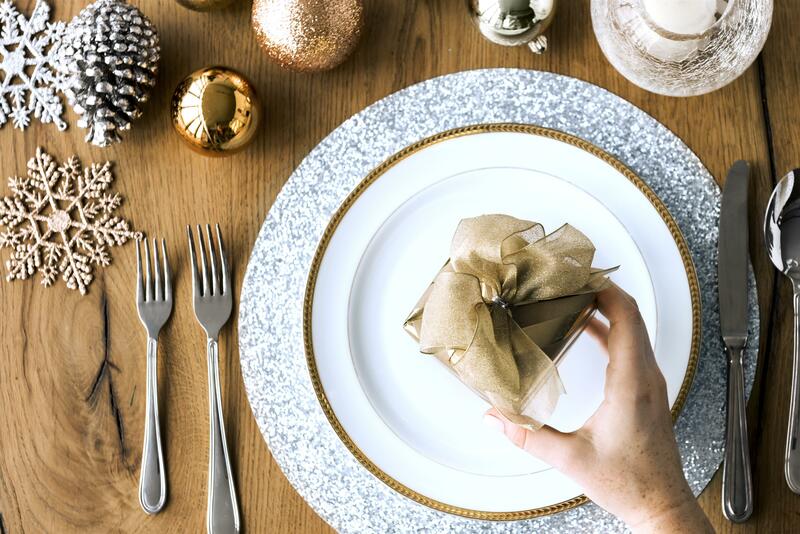 It’s more than likely that your guests are expecting some sort of deal or special offer during the holiday season, so be sure not to disappoint! Have some fun with it by having a 25 Days of Christmas (or 12 days) celebration, in which you offer a different incentive each day leading up to Christmas. Your discounts don’t have to be offered to everyone though; exclusive offers can actually work in your favor. For example, offering a 20% discount to the first 100 guests of the night might draw in bigger crowds. In addition to discounts and deals, exclusive menu items can also help bring in bigger crowds than usual too. Have a full bar? Get creative and offer a different holiday cocktail each day of the month! Think about it—if your Gingerbread Eggnog White Russian is offered for one day only, the chances are pretty great that your guests will make an effort to come in and see what it's all about. Don't serve alcohol? You can incorporate this idea into your appetizers menu or your daily specials also. Have you ever driven out of your way to see the most decorated house in town? It's safe to say that a majority of your customers have, and have even made this a family tradition. Your business—with the right decor—can get the same kind of attention this year. You don't have to go crazy; just make sure that your establishment stands out! String lights always add a great touch, and maybe your staff will even be willing to get crafty with some window paint. If you have customers who have willingly opted into your mailing list, now is the time to thank them for their loyalty! These are your customers who really care about what's going on in your business, and they deserve some recognition. You can make them feel special by simply offering them an exclusive reward just for being part of your mailing list, like $10 towards their next purchase. Remember, a little bit goes a long way when it comes to great customer service. 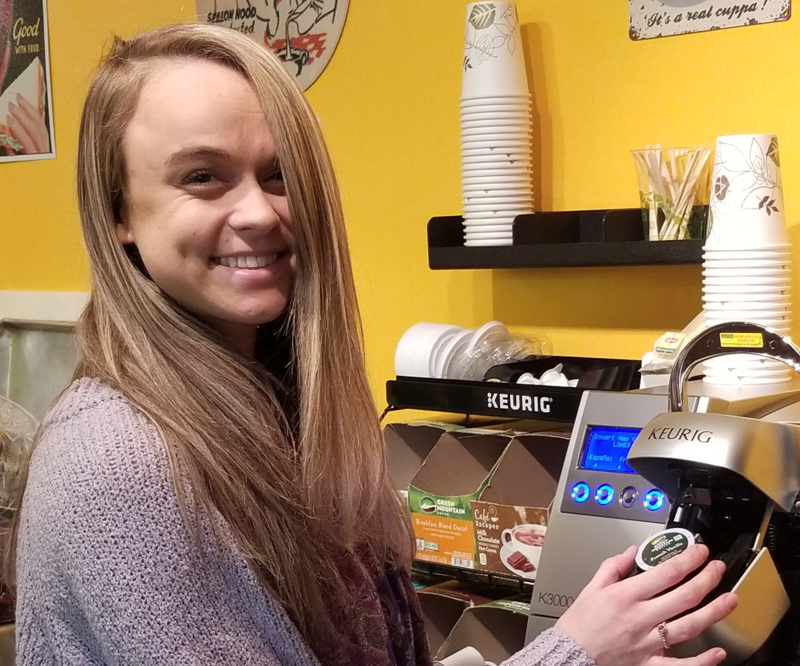 Working with other local businesses in your community is always a good idea, but teaming up during the holiday season can be even more beneficial for your business. Looking to start a local collaboration but not sure how? Keep reading for some ideas! Collecting toys for children in your neighborhood is something that your whole community will be happy to get involved with, especially in honor of International Children’s Day on December 11th. Place a bin or decorated cardboard box somewhere inside your establishment so that your patrons can drop off wrapped toys; be sure to put the guidelines on social media! Simply ask other nearby businesses if they’d like to participate, or have some fun and make it a friendly competition to see who can collect the most toys! It might be the most wonderful time of the year for some, but for others, the holiday season is extremely difficult. Do some research on local organizations in your area and consider how you can help those who need it the most. Imagine the impact you can make throughout December if each of your guests donated just $1 while paying the check! Alleviate the struggles of holiday shopping for your customers by creating a gift basket filled with local goodies and treasures. Work with what you have in your area to pick a theme for your basket. Located near a bunch of local shops? Go with a food theme by collecting your neighborhood’s finest chocolates, nuts, wines, cheeses, or olive oil, for example. If you’re in a less populated area, focus on what your town or state does best! Did you know that every state has its own pie? Maybe you can contact the best baker in town to make a couple of your state’s pies to sell in your business. Whichever theme you go with, tie it all together with merchandise or a gift card from your own business! If you’re still offering the same dishes that you rolled out when the temperature first dropped, it’s time for a change! It’s officially winter, and that calls for some new dishes—even if you're located somewhere warm. If you’re not sure what you want to add, just ask your customers! Use social media to hear what they’re looking for this season. If monitoring your business online wasn't a priority for you in 2018, this has to be something you focus on in the new year. Simple mistakes or lack of information on websites like Yelp or Facebook can mean lost business for you. Take a couple of minutes to do a quick search to see how your information is being displayed, and correct any errors that you spot. The holidays are over, but there's no reason for the fun to stop at your business. Keep the excitement going by following some of the fun holidays of January, like National Pie Day on the 23rd or National Cheese Lovers Day on the 20th. January is also the National Month of Hot Tea and Soup. We see a lot of opportunities to get creative and whip up some enticing specials here! In order to stay on track, create a marketing schedule to follow. This way, you’ll stay organized and know exactly what to promote and when to promote it. 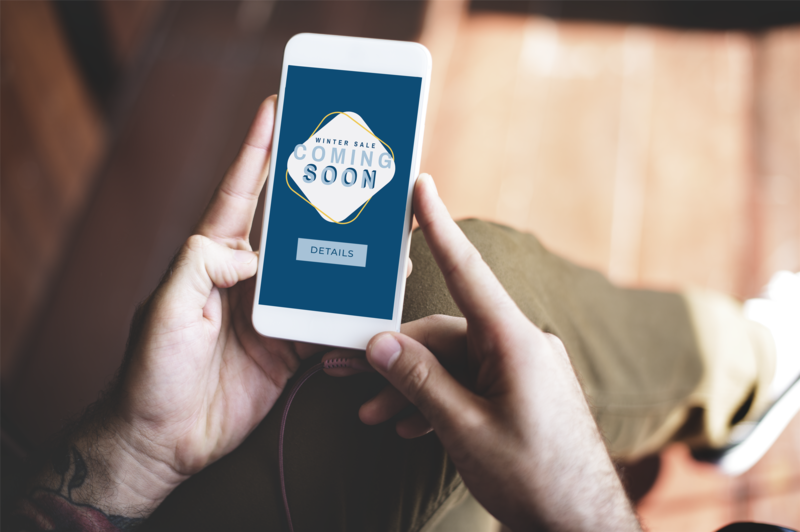 If you have a Social Hub, you already have access to an amazing social media scheduler and a tool to schedule email campaigns too! With the right tools, planning takes just a few minutes. 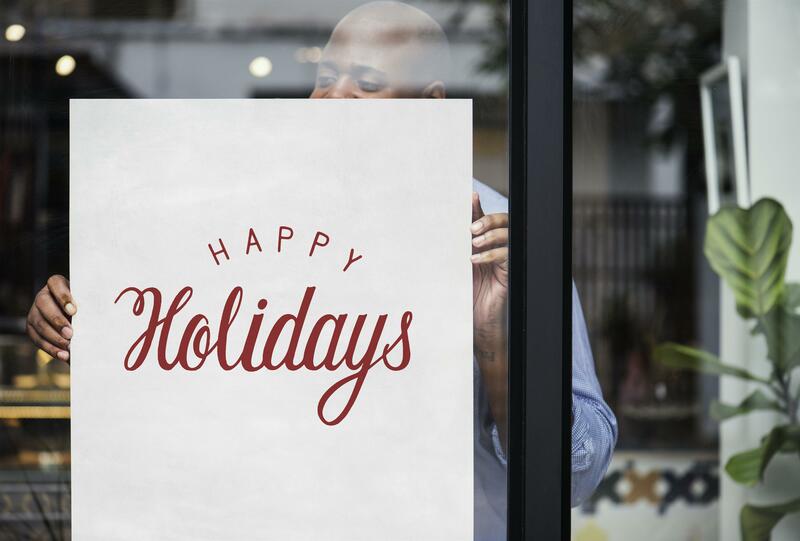 If you’re not going to be handling your marketing efforts for your holiday plans yourself, somebody else has to. This is a great opportunity to give your employees more responsibility! Have one of your creative servers come up with attention-grabbing social media posts, while another artistic employee helps you create email campaigns. Throwing in a small holiday bonus as a way of saying thanks for the help can boost moral too! Just because you have a little more to focus on this month does not mean that other things can be forgotten about. Your customers’ reviews still need to get replied to, and your website definitely still needs to be updated when necessary! If you’re not fully confident that you and your team can pull it all off this month, don’t take any chances—this is your business we’re talking about! If you’re unable to stay organized, it’ll be obvious to your customers, and they’ll dine elsewhere. Don’t let it come down to that. Our team of experts is ready to jump in to help you get the job done. Let us create eye-catching content for your social media pages that keep customers interested and engaged. Let us design beautiful flyers for each of your holiday promotions to send to your email contacts, and last but not least, let us handle responding to all of the reviews that your customers will be leaving for you this month. Our Do It For Me Services not only save you time, but also help you retain and gain business. Interested in hearing more? Click the button below to get in touch with us! See the full list from Foodimentary! Year after year, we’re always so impressed by the unique holiday traditions started by our creative customers around the country. One very special tradition we think is well-worth sharing was started by our friends at The Salted Rim in Ocean View, DE. 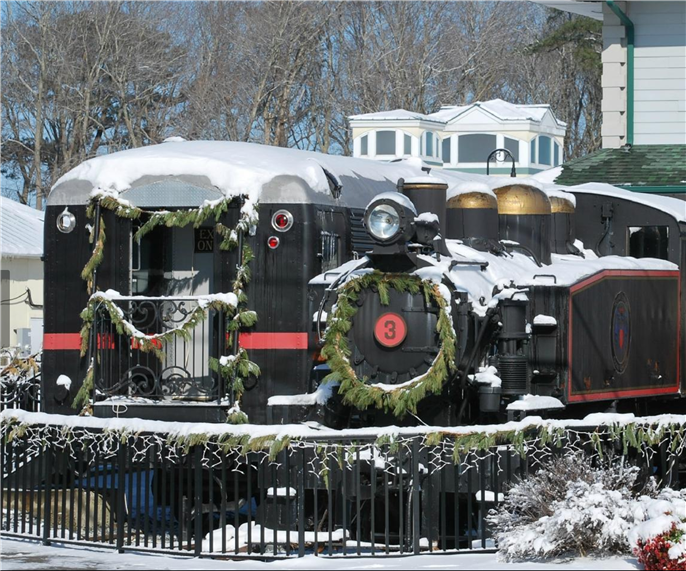 Each year, guests are invited to board one of the restaurant's authentic train cars to warm up with a hot meal—and watch The Polar Express in their pajamas! During the movie, Santa’s elves serve cookies and hot chocolate, and there is even a special appearance from Santa himself. The event has become so well known in the area that it was even featured on the local news! Check out the short clip below to experience the magic for yourself. Favorite thing about Ordereze: The work environment - laid back, comfortable & open minded. It’s easy to be creative in such a free-flowing atmosphere, knowing how supportive your supervisors & other coworkers are. Favorite part of her job: I like making Email Marketing flyers because that’s when I truly get to be creative & come up with something great for the customer. The best is when they express how much they love the flyer I make – just makes me want to keep creating! Fun fact: Before I started at Ordereze I was interested in getting my certificate in UX design. Now that I work here, I experience those issues first hand, and I think it’s a great position for me to learn even more! I also love animals & I would love to open my own shelter one day. The Solutions Don't Stop There! Join our mailing list to receive our monthly newsletter in addition to exclusive marketing tips, product releases, special offers & discounts, notification of contests & giveaways, and so much more!